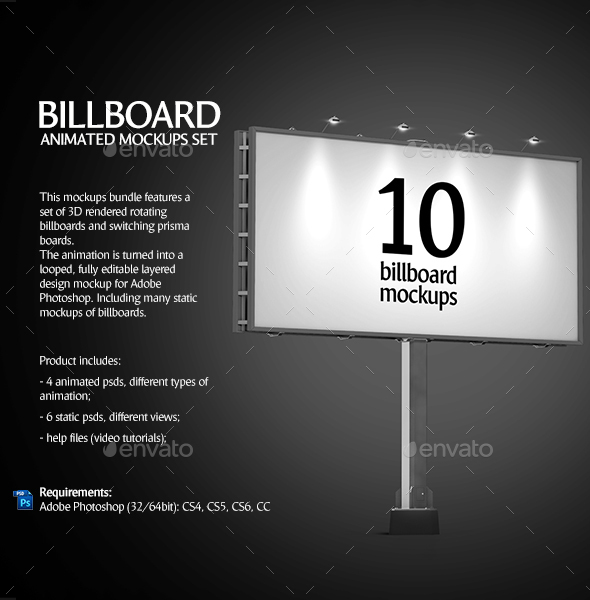 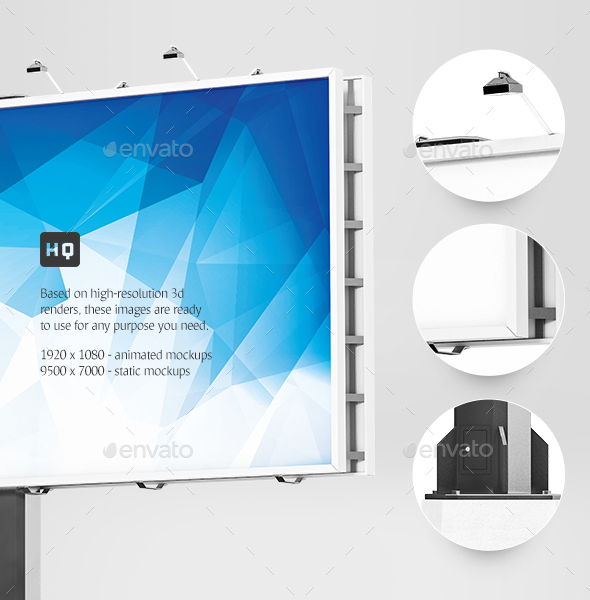 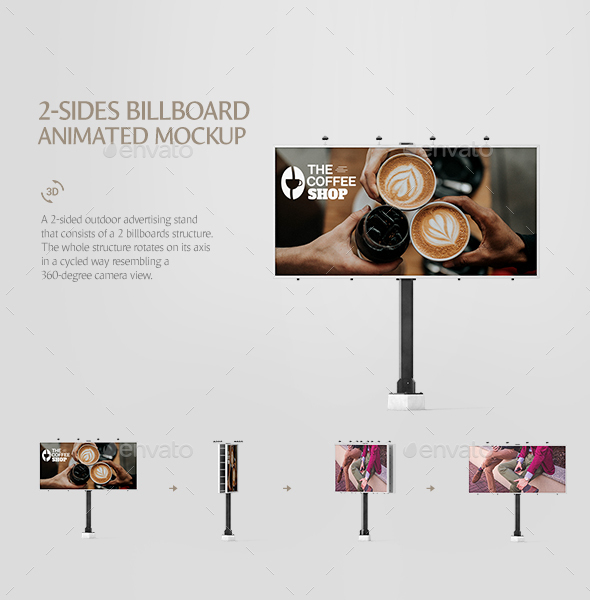 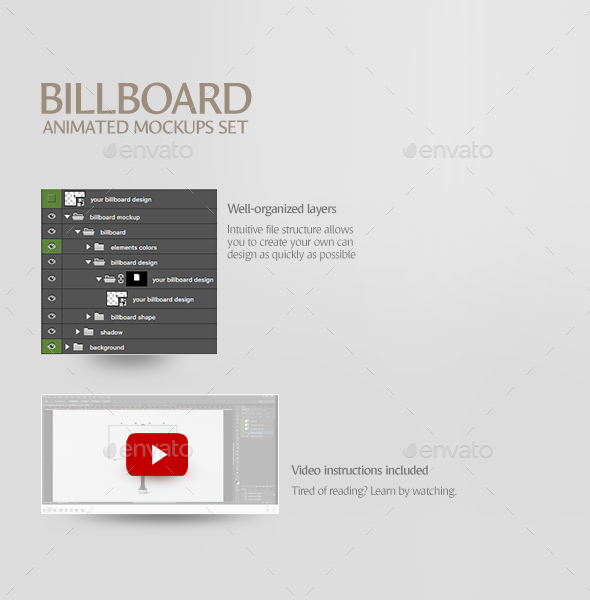 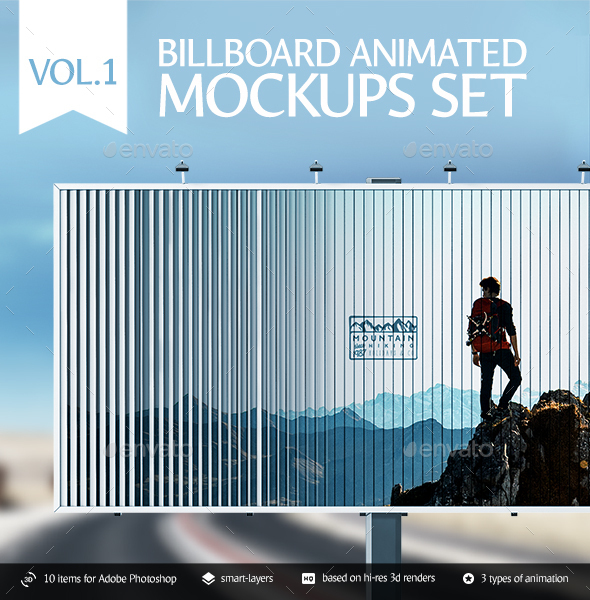 This billboard animated mockups set features 6 static and 4 animated psds. 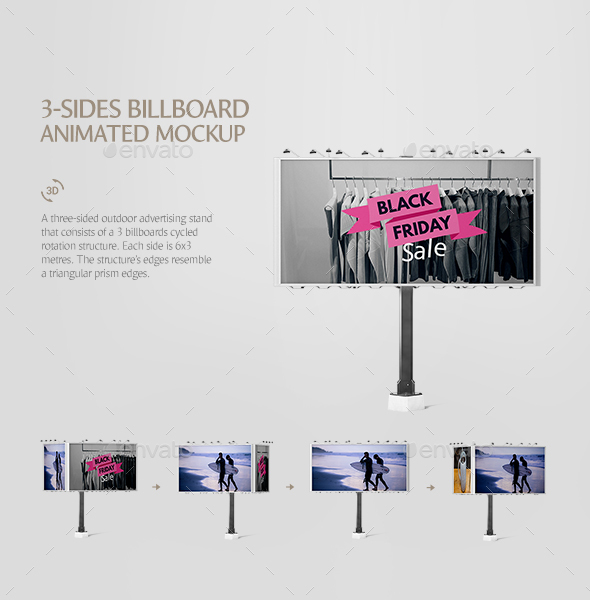 Use this real-life billboard mockups to showcase or advertise a new product or design. 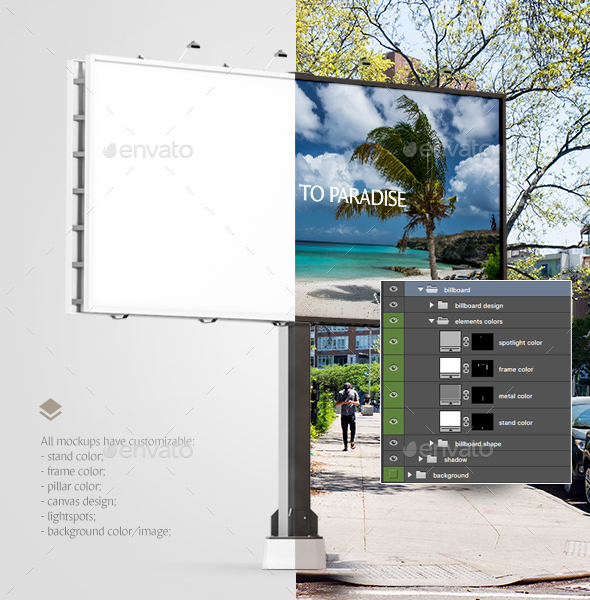 Customize the background by changing the color or placing any photo of a sidewalk at a busy street, highway, etc. 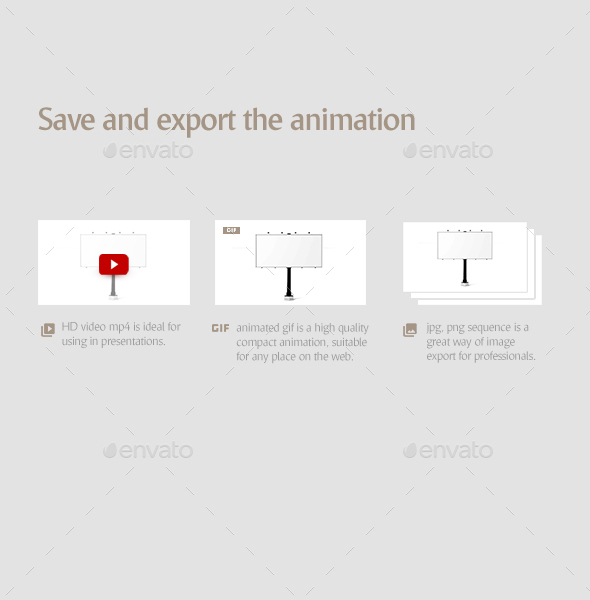 Drag and drop an image of whatever it is you are looking to advertise onto the template of your choice and create impressive gif animations and/or videos to use in your online portfolio, social networks or presentations. 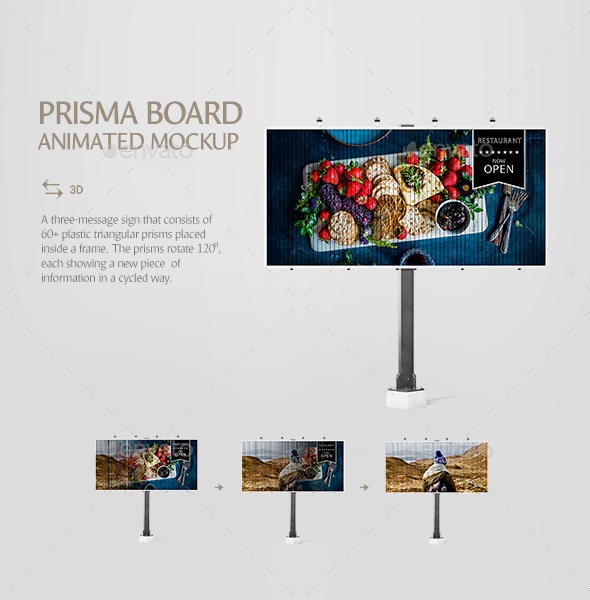 Billboard mockups are a great way to attract your consumer’s attention and leave a lasting impression about your brand.